A high action water soluble product. Specially formulated to tackle high grease deposits on cooking and mixing machinery. General cleaning – dilute 1:50 with warm water, rinse with cold. Heavy grease and burnt on deposits dilute 1:50 and leave to soak for 30 minutes. Safe on stainless steel but will discolour or damage aluminium utensils and surfaces. This high action water soluble product has a low odour and is a red coloured liquid. Q. I need to carry out a deep clean on a pub kitchen, will this deal with heavy grease build-up? 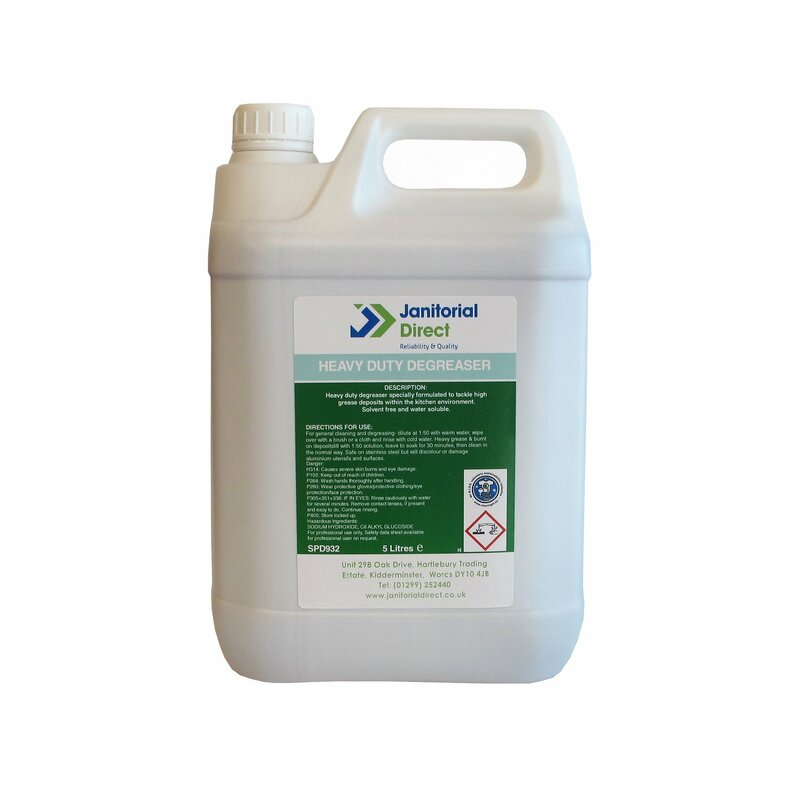 A. SPD932 Heavy Duty Degreaser is suitable for the removal of fat, grease and dirt deposits. Being solvent free it is ideal for use in areas where food is prepared.